Home → News → Easter Eggs Galore! 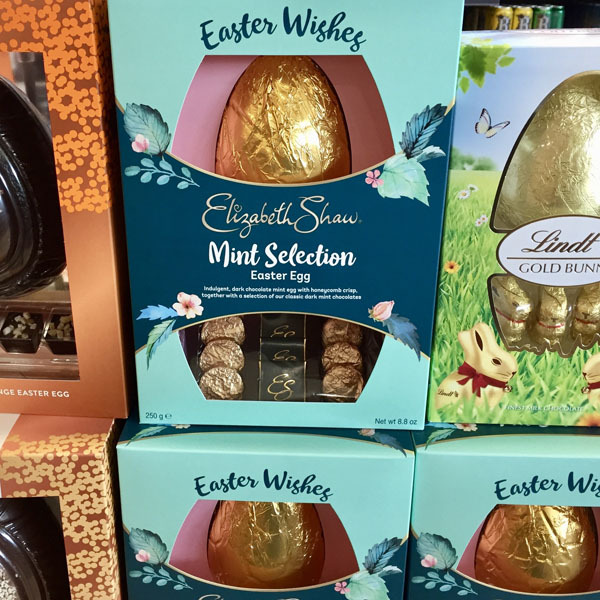 We've Easter Eggs for every taste and budget, including gluten and dairy free, Fairtrade and all absolutely delicious! Not forgetting mini eggs for Easter egg hunts and a huge range of chocolates. But best be quick, as they are flying of the shelves this week. Other Easter goodies include Simnel Cakes from Lavender Blue Bakery, Easter Biscuits from Moore's and the ever popular hot cross buns from Mortimer;s and Taylors of Bruton. For your wine needs over Easter, we've got Hardy's Pinto Grigio and Shiraz on offer for just £5 a bottle!